At the LX’s debut in the mid 90s the SUV craze in its mere adolescence and the luxo-SUV market was just being birthed. There was little in the way of templates for Lexus to crib from and undercut. And, at launch, the only competitor with a higher MSRP was Land Rover’s Range Rover. If Lexus was going to compete, and win, in the space, the vehicle was going to have to be an outright winner. 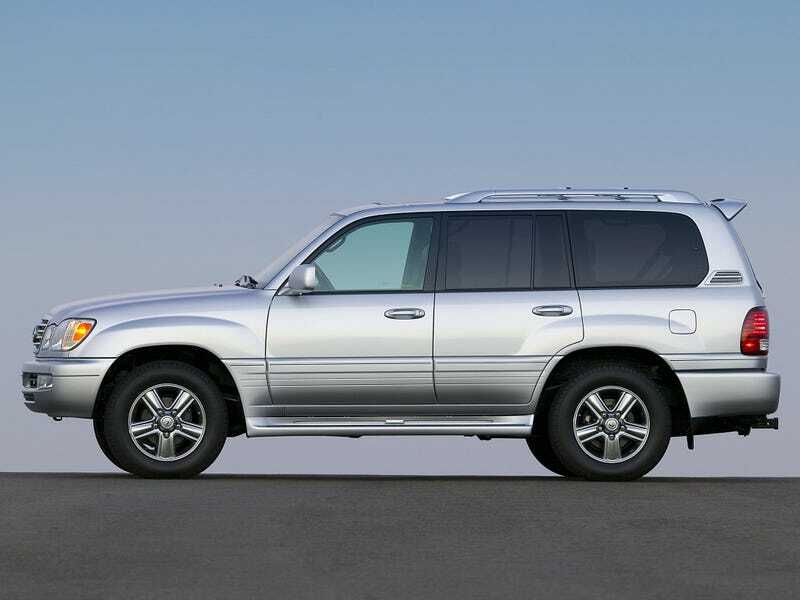 Luckily for Lexus, they had one last card up their sleeve: the Toyota Land Cruiser. It’s easy to dismiss the LX as little more than a Land Cruiser in lipstick, and that characterization isn’t wrong, but the magic is in the details with the LX. Look, we’re not likely to convince those on the ih8mud forums that the (and I quote) “gauche and gaudy” LX is a more compelling choice for the rest of us. But to us, the LX provides the same experience as a Land Cruiser in a slightly softer, more accessible pacakge. The LX came with adjustable height control (“AHC”), making ingress and egress more pleasant; the suspension tuning was approximately 15% softer than in a Land Cruiser; the cabin leather and interior touchpoints were all of a softer, higher quality, often described (a touch genetically) as “creamy” and “buttery” by auto scribes of the day. The LX was a bank vault to the Land Cruiser’s well-secured office building. Either one is going to last for hundreds of thousands of miles; 150k miles is merely a convenient halfway marker.